We are always inspired by the diverse stories our graduates share with us. 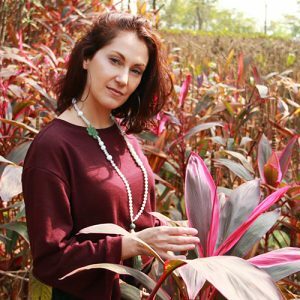 In this interview Audrey Tournier shares with us her fascination for Chinese literature and calligraphy and how she started her skincare brand Slow Living in China. Hi Audrey, please introduce yourself! like to emphasize this to bring hope to anybody passionate about something different than their current job: it is possible to change! 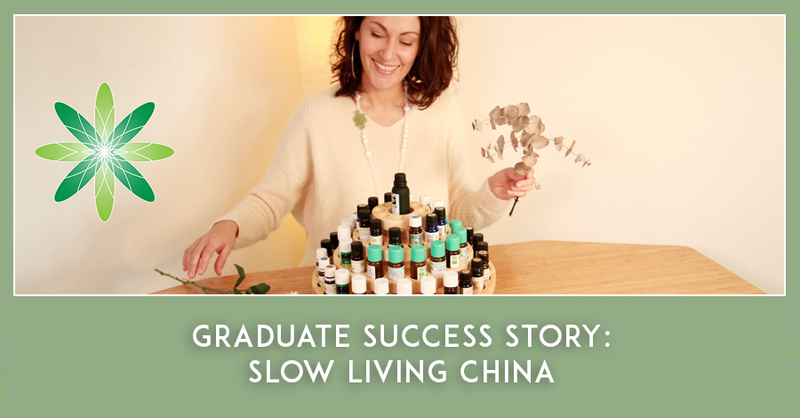 I created Slow Living in Hong Kong in 2014, but I operate in South China (Shenzhen) where I live. My business model is like a tripod: products, workshops and tailor-made formulations. 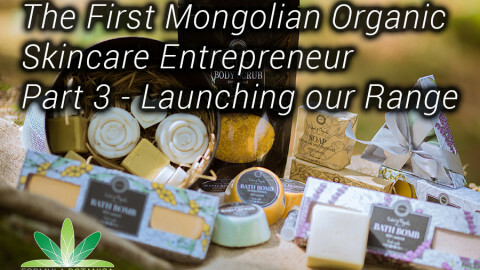 On the product side I created 2 full ranges of products: a range of aromatherapy skincare adapted to skin needs in China (antioxidant and anti-aging), and a range of aromatherapy products for emotional wellness (plant-based candles, aura sprays, inhalers…). I also organise workshops focused on aromatherapy in order to teach people how to make natural products and skincare. I invest a lot of time in teaching workshops in Mandarin Chinese so as to ensure I stay connected to my Chinese audience. It’s very humbling, because I am constantly learning and facing the pressure of teaching in a difficult language. 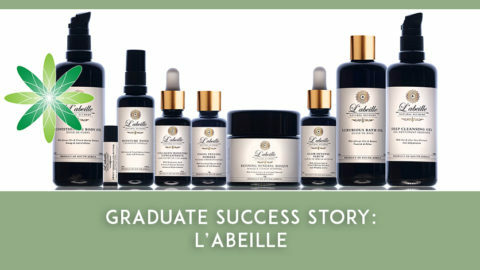 Finally, I just started offering tailor-made skincare services in partnership with Mlle Zenobie, a French company specialized in image counseling and private coaching in Guangzhou. I’m very excited about this collaboration as it allows me to express what I love best in my job: formulating, researching different skin conditions, being of service to others and taking time for minutious details. Nothing makes me happier than a client telling me their skin condition has improved! Natural cosmetics are expected to boom in China, and the country is going to need passionate formulators soon. I love to stay in my lab, surrounded by beakers, letting the oils and butters dance in my head and experiment with textures and smells from around the world. I also do all the product designs by myself. I usually have a clear image in my head of how the final product should look like. So when I am not busy with pipettes and beakers, I spend hours on photoshop designing labels, logos and eco-friendly packaging. I also go to factories to source quality, sustainable packaging. My products are sold almost exclusively online, I created an online store with nationwide delivery, since in China, e-commerce is the prefered channel (an overwhelming 90% of consumers buy online, and not in shops!) The most exciting and challenging point for me, is that natural skincare (let alone organic) is still in its infancy in China…everything is to be done! In 2013, after 8 years of fast-paced expat career in Asia, my health started to deteriorate because of stress: I suffered with an ulcer, insomnia and chronic fatigue. After almost burning out, I chose to quit and follow my heart’s path. I wanted to do something more meaningful, more in tune with nature and with who I am and something that could benefit others. A close friend made aromatherapy blends to help me get through this difficult period in my life. I am forever grateful to her because this was the starting point of my journey towards a healthier life. I took a sabbatical year to travel, reflect and study. I got a lot of inspiration from traveling, and finally created Slow Living in Hong Kong in 2014. My goal was to make plant-based products to help people “slow down” and reconnect with nature, especially in the heart of China’s busiest cities. I found the name “Slow Living” during a 10 day silent meditation retreat. Had I not experienced such high corporate pressure and fast-paced life I would never have started Slow Living. So I am grateful for these years and the lessons they brought me. 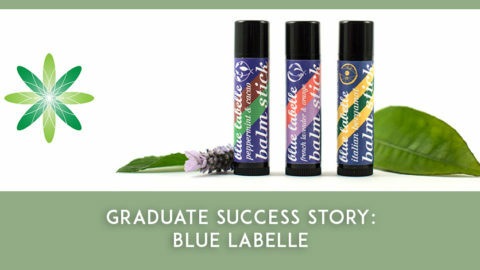 Later on, I studied aromatherapy professionally with the Aromahead institute in Florida as well as taking the Diploma in Organic Skincare Formulation with Formula Botanica. I formulate aromatherapy skincare products to treat the main skin concerns we have here living in China: pollution, early-aging, oxidation, as well dehydration. Living in a highly polluted environment, cleansing the skin with gentle products and bringing in good moisture are vital. Another key point is that I make seasonal skincare products. Similarly as we (try to!) eat seasonal fruits and vegetables, I am formulating according to seasons because the skin has different needs depending on the season. My favorite products are my Dual Action emulsion for face and eyes, formulated with hyaluronic acid from a vegetal, non-GMO source and pomegranate extract. They bring just the right moisture without feeling greasy, and have great anti-oxidant, anti-aging actions. The eye version is formulated with mango butter and helichrysum from Corsica, which has such beautiful skin-healing properties, and reminds me of my hometown in the South of France. For my body, I can’t live without my Hawaiian Dream body butter!! 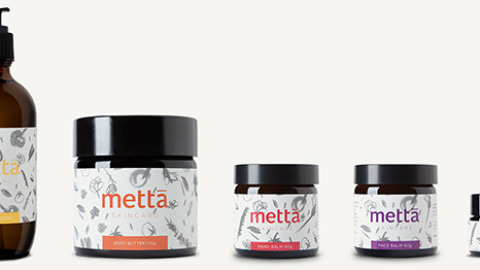 Shea, coconut, cocoa butters beaten in a delicious whipped cream for skin, spiced with cardamom and monoi from tahiti. This was directly inspired following a trip to Hawaii. 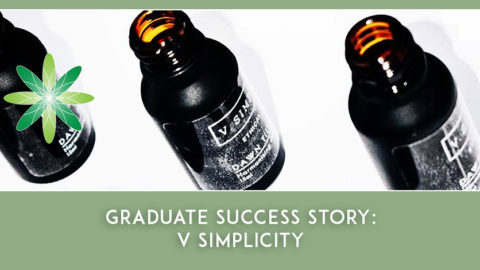 I took the Diploma in Organic Skincare Formulation and it has been incredibly useful in giving me a very solid frame for my formulations. I love the fact that this course gives us the key to express our creativity, as opposed to being “recipe followers”. I am using what I learned from this course every single day! 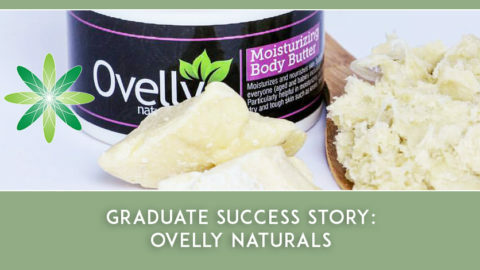 Next I am going to take the Advanced Diploma in Organic Cosmetic Science and then the Certificate in Cosmetic Stability Testing so I can formulate more complex textures, and learn the technicalities of cosmetic stability. This is a necessity when working in a hot climate area, where product stability is a real challenge. Freedom and creativity is what I enjoy most: I love playing with the oils, hydrosols and botanical extracts. I love being able to express my own vision on my terms. I also love to go on business trips around the world to source amazing natural & organic ingredients, fair-trade whenever possible. Travels are such an endless source of inspiration for me. I feel as if I am on a “mission”: helping Chinese people to understand the benefits of natural skincare products, empowering them to become more discerning consumers and live healthier lives. My biggest difficulty was (and still is) sourcing organic ingredients. In China, there is a total lack of quality organic ingredients, and no clear standards for “Organic” labelling. 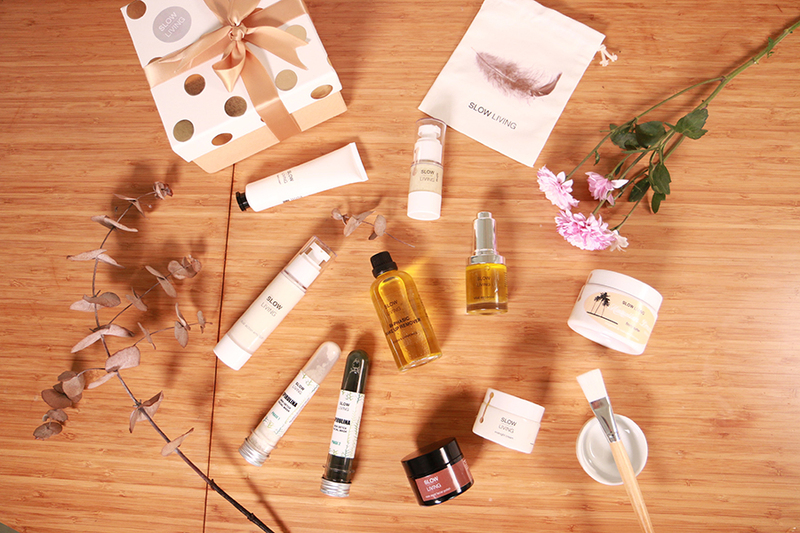 This is why most natural skincare brands have left the Chinese market. As for me, I import all my organic ingredients from France, Switzerland, the USA and Australia. I make sure I work with suppliers that test each batch and are transparent with quality data. This makes a very complicated supply chain, but this is the only way for me to guarantee that my clients will get organic, all-natural products on their skin. Finally my 10 years background in logistics serve me! The second biggest difficulty for me is the tropical weather here in South China, and all the cosmetic stability issues resulting from it: I had to run countless tests before getting the right textures and I actually have “summer/winter” variations for some of my skincare products. Finally marketing in China is not an easy job for a small brand. It requires a lot of personal involvement, patience and dedication to create brand awareness. It is also necessary to take time to patiently inform consumers, as they are not familiar at all with natural cosmetics and their benefits. This can be time-consuming and frustrating at times, but it is so rewarding, because Chinese people are very eager to learn, and once they see the value, they become empowered, faithful customers. Trust yourself and let your heart speak: don’t let people make you think that your project is too silly. As long as you have a passion for what you do, and do it with integrity and dedication; you can make it. It’s just a matter of perseverance. Listen to people only when they give you constructive feedback about your products so you can improve them, not when they try to put you down with their negativity and projected fears. I was told countless times that my business model was completely foolish. I came out of investor meetings feeling crushed and misunderstood. But there was always that small seed of trust and hope in me, telling me to continue, no matter what. Now I am going to enter in my 3rd full year of business, I am still there and developing! Trust yourself! If you want to follow in Audrey’s footsteps then take our free sample organic skincare formulation class and be on the way to starting the skincare business of your dreams.